In Epworth, voting is underway in most wards. There were challenges in some of the wards that are yet to receive ballot papers. The papers are believed to be on the way. House of Assembly candidate Cde Kudakwashe Damson expressed concern over the delays in the distribution of the papers. He said he was hopeful that voting could be extended so that all the people can cast their ballots. The voting is being conducted in a peaceful way. 1703: Voting has started at Vhembe High School polling station in Beitbridge East constituency. 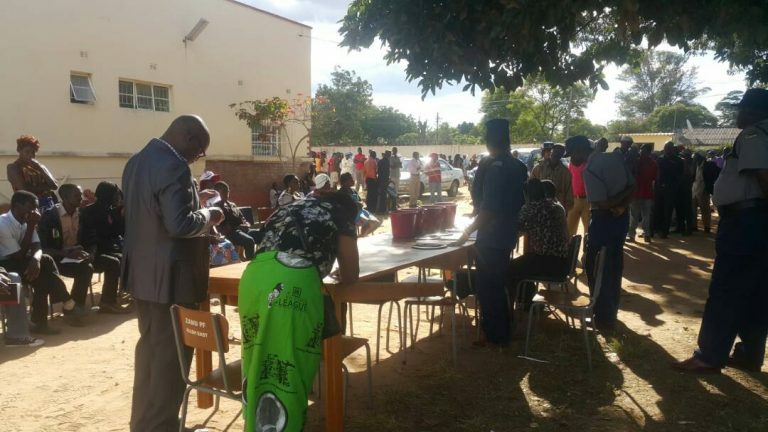 1659: Voting is ongoing in Zvishavane although it started late in the afternoon. There was drama, however, as some voters with candidates’ regalia were forced to remove their T-Shirts before they could be allowed to vote. 1652: Voting has been deferred in some wards of Mhangura constituency to tomorrow due to time. Voters have since been urged to go home. Voting has been postponed to tomorrow in all the 18 polling stations in Gokwe North and South due to delays in receiving ballot papers. No vote had been cast in all polling stations in the two districts by 4pm resulting in the provincial executive resolving to postpone the vote until tomorrow. 1632: Zanu-PF Midlands Province has resolved to postpone primaries for Mberengwa East, West, South and North constituencies until tomorrow due to the delay in the distribution of ballot papers. The ballot papers failed to get to other polling stations in Mberengwa North and West due to logistical problems. Cde Joram Gumbo is being contested by Adam Magida in Mberengwa West. Midlands Provincial Chairman Engineer Daniel McKenzie Ncube confirmed that the voting has been postponed. 1542: Voting in the four Mt Darwin constituencies has been deferred to tomorrow because of time. It will start at 7.30am and expected to end at 5.30pm. 1521: Guruve North and South constituency elections have been postponed until tomorrow. 1515: There was drama at Karoi Primary School as Zvimba West candidate Cde Chinjai Kambuzuma went into labour after an altercation with another aspiring candidate Cde Mary Chikoka Mliswa over allegations that she (Cde Chinjai) tried to remove her name from the candidates’ list. She is currently admitted at Karoi District Hospital. 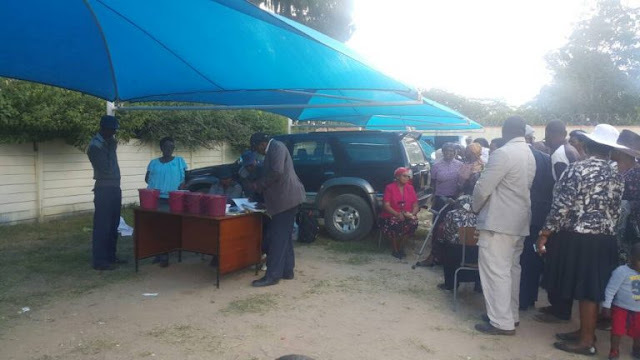 1450: The ballot papers are now being distributed to polling stations in Zvishavane-Ngezi constituency where Cdes John Holder, Lewis Matutu, Dumizweni Mahwite Mpofu, Susan Sibanda and Kefas Maunganidze are contesting. 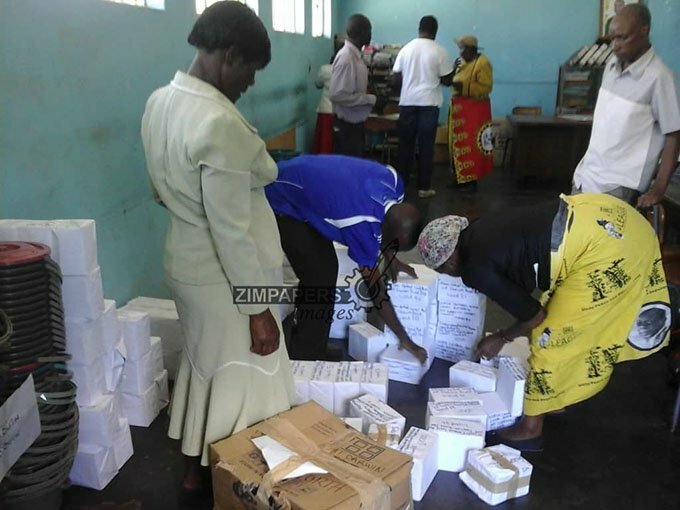 1442: Ballot papers have just arrived in Zvishavane and now await distribution. Voting is expected to start around 3pm. Midlands Provincial Minister Cde Owen Ncube will be the only uncontested Member ofParliament in the province after two candidates who have been vying for Gokwe Kana constiuency develop cold feet.The two aspiring MPs who were set to lock horns with Cde Ncube are Cdes Tawanda Karikoga and Johannes Warisa.Interestingly, both are now contesting for Gokwe Mapfungautsi constituency making it a total seven the number of aspiring candidates for the constituency. 1423: The voters in Mhangura are proposing the postponement of the polls. Mhangura constituency has seven candidates including former lands Minister Dr Douglas Mombeshora, Provincial women’s league health secretary Cde Precious Chinhamo Masango, five war veterans and ZFU vice president Berean Mukwende. Manicaland political comissar Cde Gift Kagweda says voting might be extended by the number of hours lost. He says ballot papers for districts that are further from the provincial headquarters were dispatched first. constituencies in Mutare and surrounding areas will recieve ballot papers soon. 1419: Ballot papers for Makoni have arrived and the Officer Commanding Rusape Chief Superintendent Garikai Gwangwawa addressed aspiring candidates. He said voting at respective centres with electricity can be extended by the delayed hours. At centres without power, voting will continue tomorrow morning. Only verified cell registers will be used, unverified ones will not be used. Voting in Masvingo South started at 7am with a huge turnout from all party wings. UZ lecturer Proffesor Obvious Vengeyi is contesting for the seat against his younger brother Victor Vengeyi. The other candidates are Phias Ndala, Gladies Chari, Conel Phillip Toperesu (rtd), Claudius Maronge, Mutetepi Maushe, Wilson Maride and Jemias Mutonono. 1412: Voters at Chirere Primary School in Zvishavane-Runde constituency wait to cast their vote. Cdes Fred Moyo, Johnson Sibanda, Cuthbert Mpame are battling it out in the constituency for the parliamentary seat while Cdes Larry Mavhima and Simbarashe Mumbengegwi are fighting for the senatorial seat. 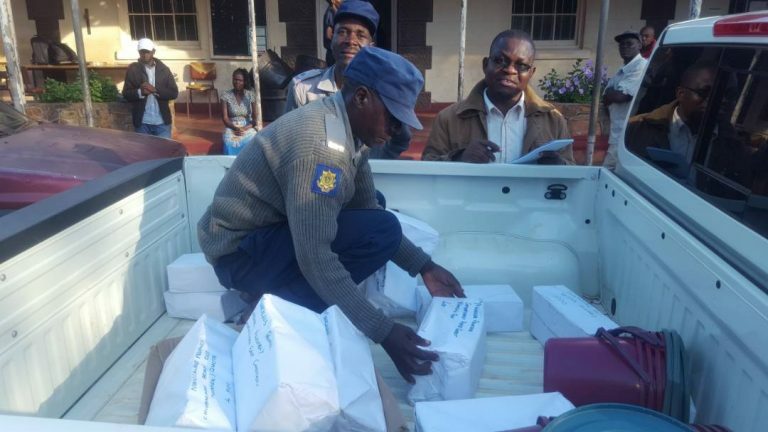 Ballot papers are still to arrive in Zvishavane and Mberengwa constituencies. Indications are that voting will start in the evening as the ballot papers are still to leave Gweru. 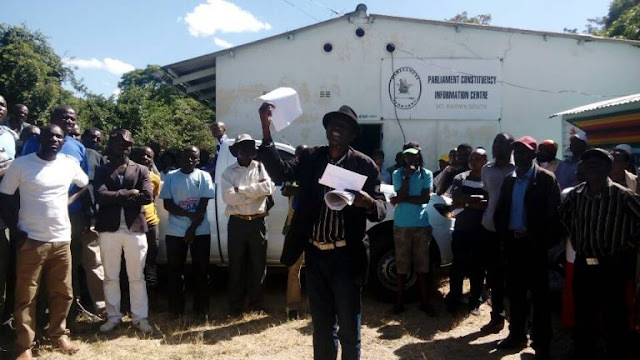 1405: In Gutu Central some voters were complaining as their names were not in voting registers.Voters were casting ballots to choose councillors, Senate and Women’s quarter candidates as Mines Minister Cde Winston Chitando was unopposed in Gutu Central constituency. 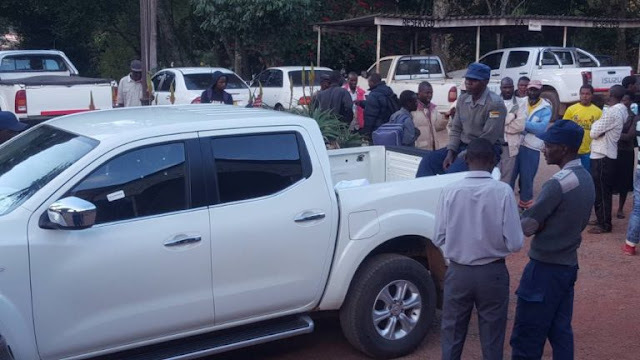 1401: Zanu-PF national political commissar Lt Gen Engelbert Rugeje (rtd) said they are considering extending the voting time as voting in many areas was delayed owing to late delivery of ballot papers, a situation blamed on the printers. 1327: There are 15 polling stations in Chegutu East constituency where Mashonaland West youth chairman Vengai Musengi is facing Minister of State for Mashonaland West Provincial Affairs Webster Shamu and Cde Julius Murombedzi. 1324: Zimbabwe Union of Journalists (ZUJ) vice president Emmanuel Mavata is contesting for a council seat in Kadoma ward 13 urban. He is battling it out with sitting councillor Innocent Nhamo. Voting has started at all polling stations in St Mary’s constituency, Chitungwiza where Cdes Rujeko Macheka, Constance Muchoni, Doyce Nyimbo, Gumisiro Dhliwayo, Augustine Zhanje and Phillip Guyo are contesting. Voting has not yet started at Alaska and Shackleton Primary schools in Chinhoyi constituency as the voting material has not yet arrived. People have been milling around since morning. Deliveries of material are being done starting with the furthest areas. 1306: Cde James Makamba has refused to comment on his “disqualification” saying everyone should wait for the arrival of the ballot papers to see whether his name is appearing on it or not. 1300: Voting has not yet started in Murehwa South districts. Goromonzi South pits Petronella Kagonye against Frank Chitukutuku, Oswell Gwanzura, Phillip Kwenda, Albert Katiyo, Sithembile Makamba, Sharon Mugabe, Eshwart Muzeza and Dominic Makoni. Candidates for Goromonzi West are incumbent legislator Beater Nyamupinga, Norman Gomera, Fungai Chimugoti and Energy Mutodi. In Goromonzi North there are several candidates that include Charles Majuru, Michael Takadii, Ozias Bvute, Nicholas Matsika and David Mazhandu. Voting material has just been dispatched to Zhombe and Silobela from Command centre at Kwekwe High School. 1241: Voting in Mount Pleasant constituency has started. Cdes Jason Pasade and Charles Banga. 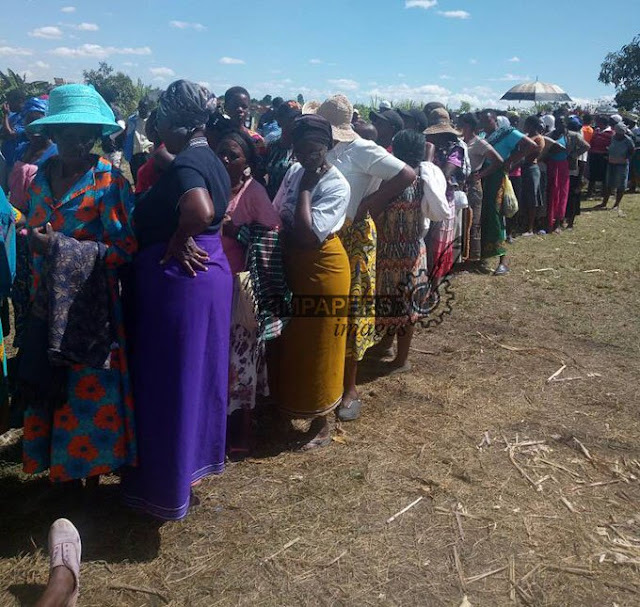 In Zawe district, hundreds of potential voters are milling at Cleigle Command centre in Mashonaland East province waiting to cast their ballots. Voting has not yet started in Murehwa South districts. 1223: Voting has not yet started in Harare South as people have been waiting restlessly at different polling stations. A visit at “Pamashed” in Stoneridge Park showed that people were milling around waiting for the arrival of polling material. The situation was the same at Southerly Park Primary School and Ushehwekunze. In Epworth, Rekai Tangwena and Simon Muzenda areas, people have not started voting as the ballot papers have not been received. The people are waiting for the arrival of the papers. In Epworth, five candidates are contesting for the parliamentary seat: Cdes Peter Mudzengerere, Kudakwashe Damson, Coxwell Chigwamha, Vengesai Muchayi, Simbarashe Manyika and Taurayi Kundishaya. 1157: In Chivi Central, voting started at around 7 am. Party officials expressed their delight with the turnout. The polls pit incumbent Cdes Ephraim Gwanongodza, Paul Mangwana, Albert Chamwadoro，Austin Hakunavanhu, Priscilla Pondo and Col Manasa Mahapa(Rtd). In Nyanga South, polling officers have just arrived. Ballot papers are their way to Nyanga from Mutare. Voters are patiently waiting to vote, particularly at Nyanga Country Club. The voting process is likely to start in an hour.